"What are you trying to do? Are you trying to impress us? We are not impressed. You are trying to dump everything on us. We are not going to accept it," a bench comprising Justices Madan B Lokur and Deepak Gupta said. The bench went on to say, "Don't do this. Whatever junk you have, you dump it before us. We are not garbage collectors. Be absolutely clear about this." 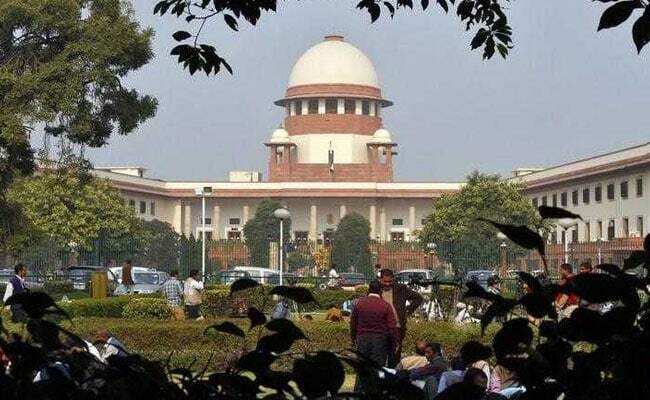 The Supreme Court today came down heavily on the centre for filing an 845-page affidavit containing incomplete information about solid waste management across the country and said that the Supreme Court of India is not a "garbage collector". The top court declined to take the affidavit on record and said that the government cannot dump "junk" before it. "What are you trying to do? Are you trying to impress us? We are not impressed. You are trying to dump everything on us. We are not going to accept it," a bench comprising Justices Madan B Lokur and Deepak Gupta said. "Don't do this. Whatever junk you have, you dump it before us. We are not garbage collectors. Be absolutely clear about this," the bench said. It also directed the government to state in its chart the date the advisory boards were constituted in the states and Union Territories, names of members of the boards and also details of any meetings conducted by them. "There is no point in filing affidavits if they contain nothing. We are not taking this affidavit on record... You have not seen it and you want us to see this affidavit," the bench observed. The court had on December 12 last year asked the centre to follow up on the matter of solid waste management with all states and Union Territories and furnish details before it. In 2015, the Supreme Court had on its own taken cognisance of death of a seven-year-old boy due to dengue. He had been allegedly denied treatment by five private hospitals and his distraught parents subsequently committed suicide.